Microwaving rice - it's no quicker to cook rice this way, but there is less mess. 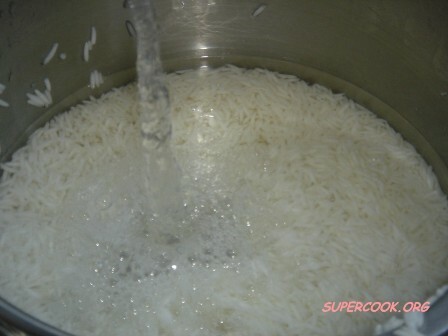 Use the right water amount and timing for your type of rice. There is no need to stir during cooking. Tip half a 500 g (1 lb) packet of rice into a deep (to avoid spills) microwaveable bowl. Stir in the right amount of boil­ing water, 1/2tsp salt and a knob of butter if you like. Cover with cling film, leaving a little vent on one side. Cook on full power (750W) for 6 minutes. Continue to cook on medium (350W) for the time given below. 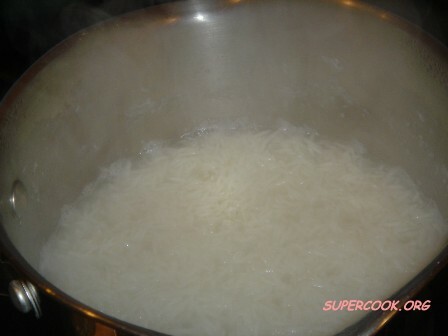 Let the rice stand for 5 minutes, then uncover and fluff up. 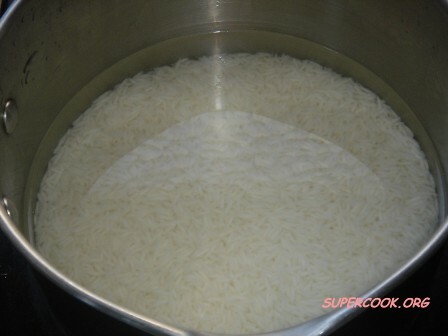 Reheating rice - to use, steam, microwave or fry until piping hot but reheat only once. 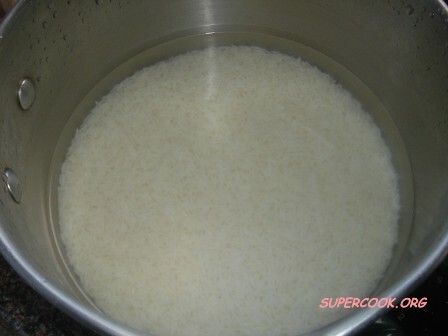 Rice must be cooled quickly after cooking. 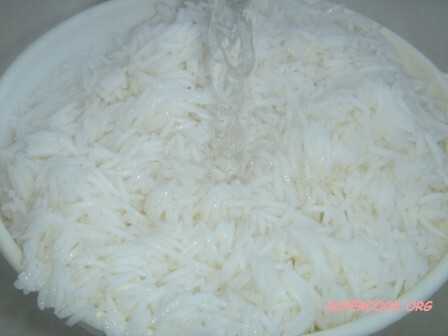 If you have got hot leftover rice tip it into a sieve put under the cold tap and run the water through it. 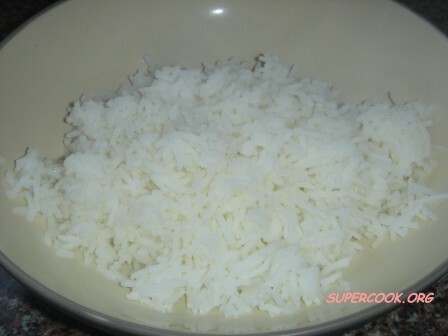 Drain and put the rice in a covered container in the fridge and it will keep for up to 2 days. then it is perfectly safe to use. If it sits around keeping warm, it can cause mild food poisoning.